The harmony between design and utility. 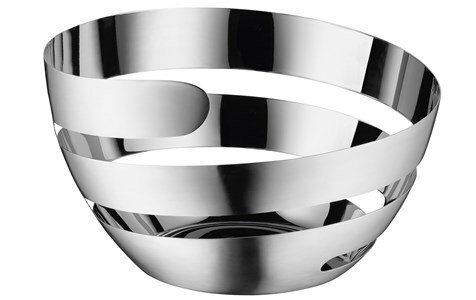 This gracefull fruit basket consists of a simple and elegant spiral of stainless steel. A decorative piece with or without content! A form that resembles the skin of an apple when peeled, which makes it a piece even more interesting for its originality and purpose. The beauty of simplicity that transforms an idea inspired by nature into art. 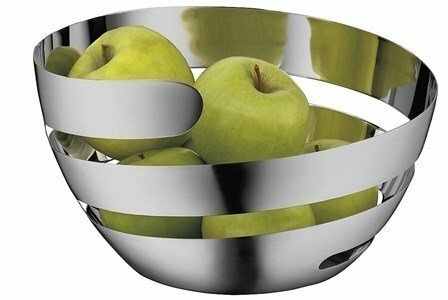 In matt stainless steel on the outside and polished on the inside.